Doing your laundry has never been this easy and effortless! 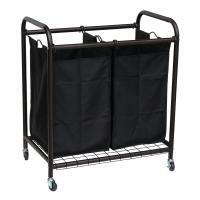 The Oceanstar 2-Bag Laundry Sorter is the ideal solution for all your laundry storage and organization needs. 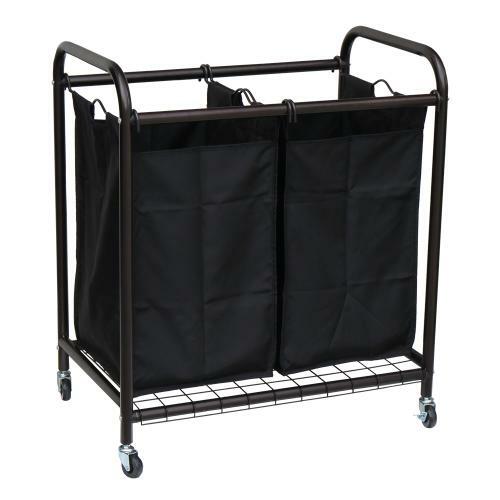 With wheels for easy transportation, you can grab and load the laundry onto the sorter from any room without any hassle. 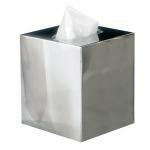 It features removable bags that allow you to lift, grab, and go. Effortlessly sort your laundry by whites and colors, towels, beddings, or any other category, while also saving time. 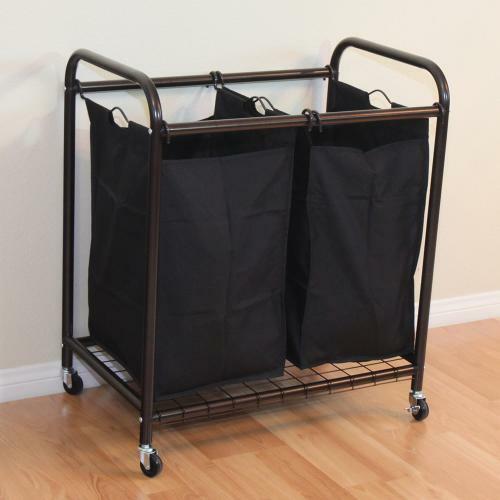 The Oceanstar 2-Bag Laundry Sorter is perfect for big families or individual use. 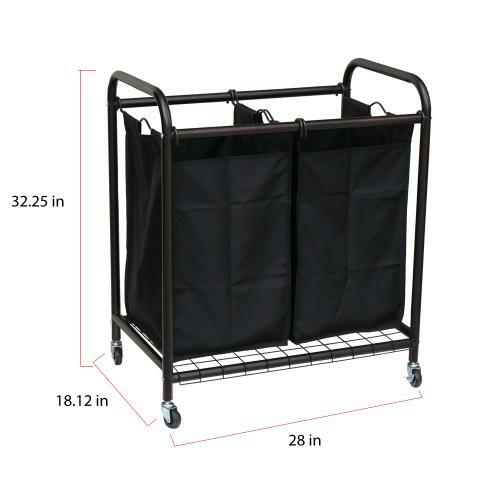 Perfect for big families, individual use, dorms, apartments, etc. For nearly 10 years, Oceanstar Design has been designing, manufacturing and distributing wooden products for the homes and families to the European market. With our leading expertise on wooden product and its exceptional quality, in June 2006, we have introduced our first wooden hamper into the U.S. market. Oceanstar Design has always operated with a simple code of conduct: Quality first - Production next - Safety always.